When I first laid eyes on the Lexus RC350 Limited I thought it looked great; a sleek, flowing design. But something about it made me think that it was no slouch either. I lowered myself into the car and with only a few seat and steering wheel adjustments, felt at home. A very comfortable car from the get go and I felt that I could easily eat up a lot of kilometers in this even before I had turned on the engine. With key in pocket I push the start engine button, and it subtly came to life. The 3.5-litre V6 engine had a very low burble on startup and as I later found out had a nice growl when the revs got higher. 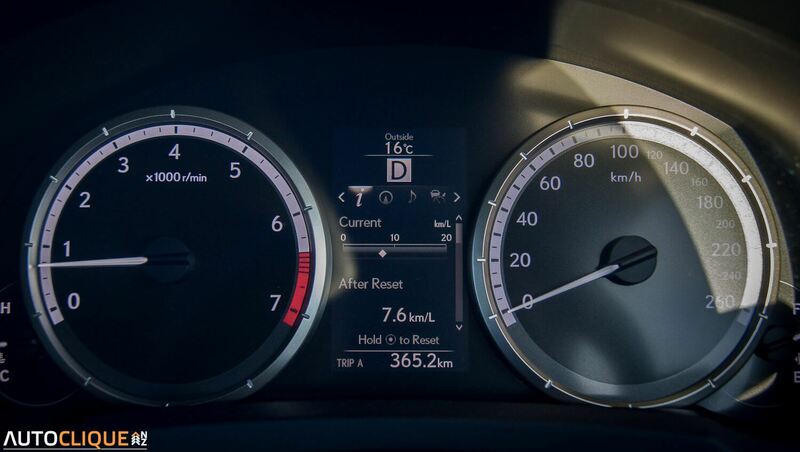 The other thing I had not noticed until turning the car on was that the speed and tachometer dials had been blank beforehand, with no numbers visible whatsoever but once on they gently glowed to life and the dials were now clearly visible. To the sci-fi child inside me this was very cool. Pulling out of the lot and I was on my way. First impressions were that it was a smooth ride both in terms of suspension and acceleration. There was a lot of lower-end torque that graciously moved it off the line like a luxury car should. This car is built for the business executive that enjoys driving. Let’s focus on the interior for a minute – what a great place to be; black leather everywhere with contrasting white stitching. 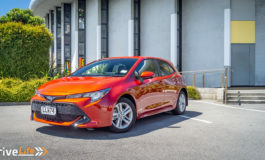 The seats are very comfortable but really hold you in place with nice side bolsters for when you want to let it stretch its legs, with heating and cooling to help you out no matter the time of year. With some nice black wood paneling on the dash in front of the passenger and on the doors, what was left was black plastic, which was not a lot and it did not feel cheap, squeak or rattle, a very well built interior giving it a very luxurious feel. The infotainment system is controlled by a touch pad, much like you would find on a laptop, but this has some very nice haptic feedback. So, when you move the pointer on the screen over a button it vibrates slightly to let you know you are on the button, allowing you to kind of feel your way around on the screen while still watching the road. 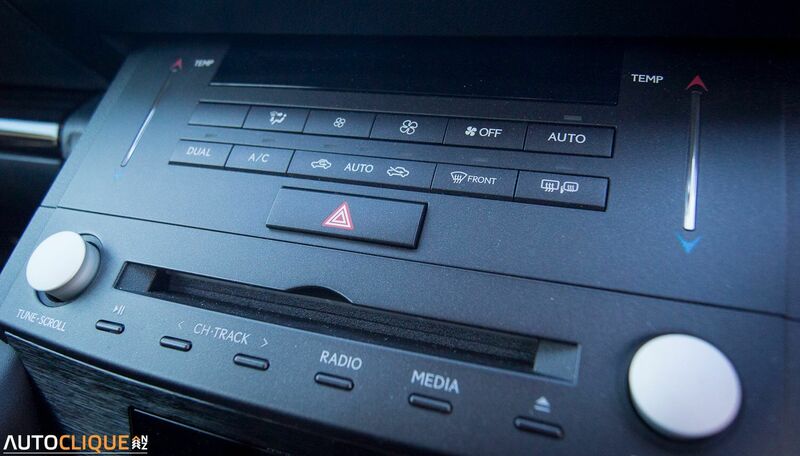 You control the temperature of the AC by sliding your finger up and down on a silver touch-sensitive bar that is located on either side of the center console, one for each side of the car giving dual zone climate control. The 17-speaker Mark Levinson audio system was fantastic. Enough about the inside, what’s happening outside of the cabin? 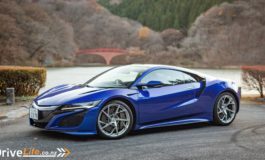 Well I already mentioned the 3.5 litre V6 engine that has a maximum power of 233kw and 378Nm of torque, that can take the car from 0-100 km in 6.3 seconds. 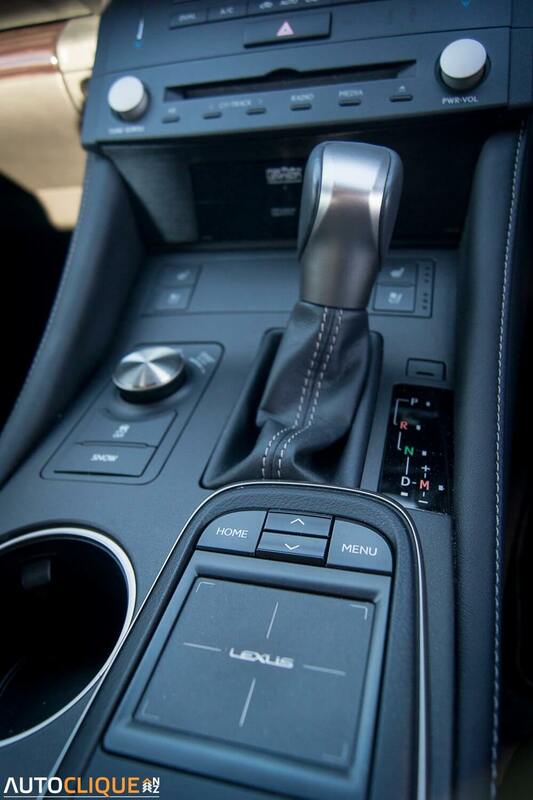 Connected to that is an 8-speed Sport Direct-Shift gearbox that sends all that power to the rear wheels, putting a little grin on your face when it does. The engine had a great sound and the car handled really well when put through its paces with some spirited driving. 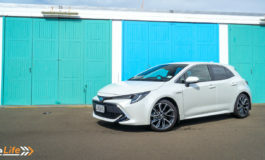 I felt I could guide it into any corner with precision as its turn in was great but the feedback through the car to the driver was also brilliant – you really felt connected to the car. I could very easily live with this car as it is just my partner and I, so there is no need for 4 doors. If I needed to give someone a lift, there is a second row of seats that are a little bit of a squeeze but handy in a pinch. There is also fairly decent boot space for a coupe, more than enough for a standard suitcase or two, or even the shopping. If however you were looking to fit golf bags or something of a similar size, I would be placing them in the second row of seats. Overall this is a great car, especially if you take into account that this is Lexus’ first coupe in 15 years. From its aggressive styling and powerful engine on the outside, to its warm, soft and luxurious finishings on the inside. 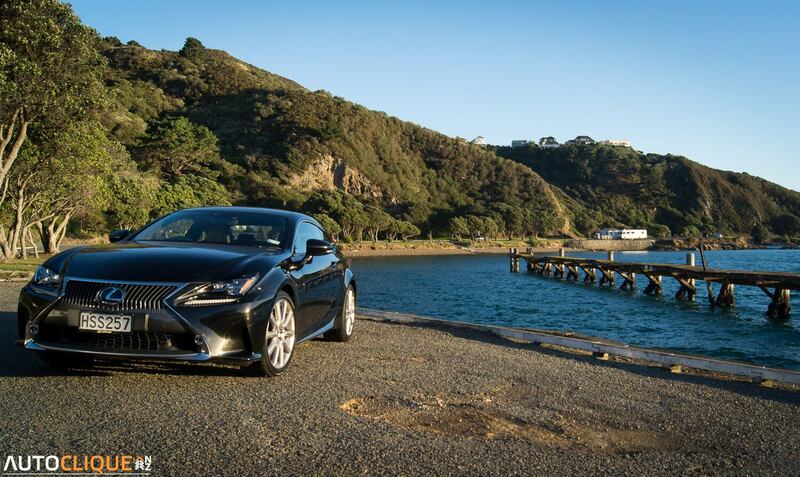 Read more about the Lexus RC350 on the Lexus New Zealand website. ANCAP Safety Ratings Yet to be tested.